I’m not an artist I’m a seamstress so it’s no wonder that painting is not my forte. 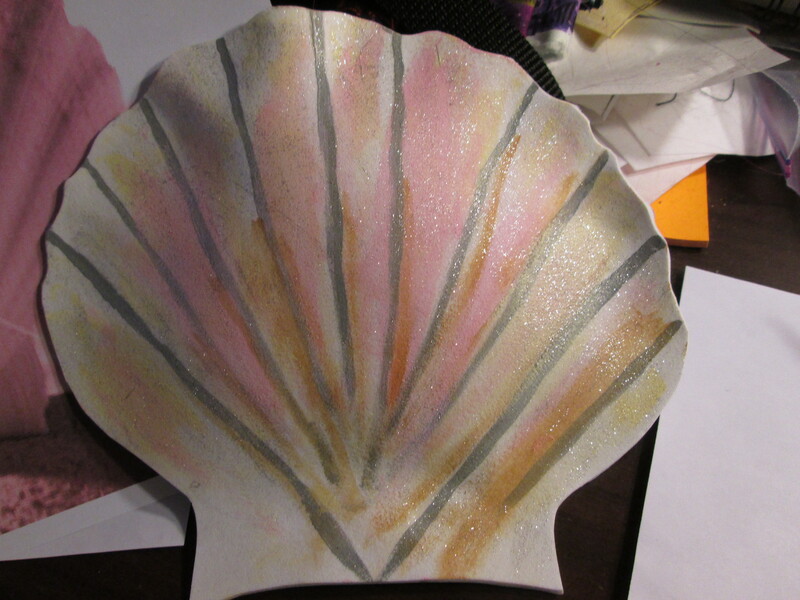 I’m not happy with the way the shells for my costume came out but I think I’m going to deal with it because I don’t have time to find real shells or to order a pre-made shell bra. 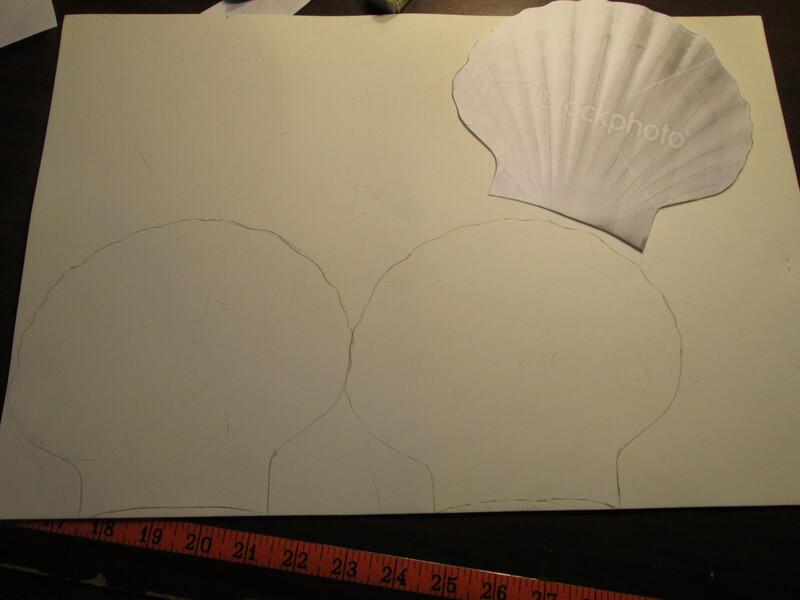 Here are some progress pictures of the shell top. 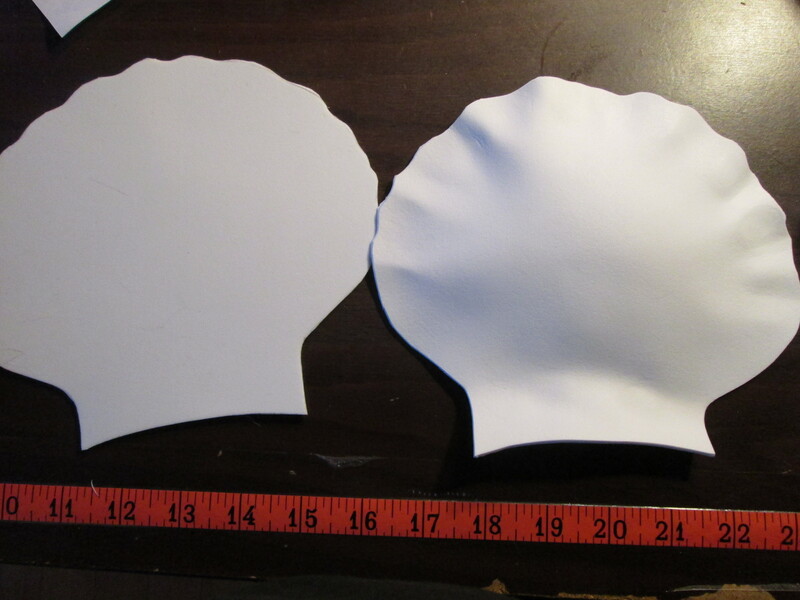 I used a heat gun to mold the craft foam into the shell shape. 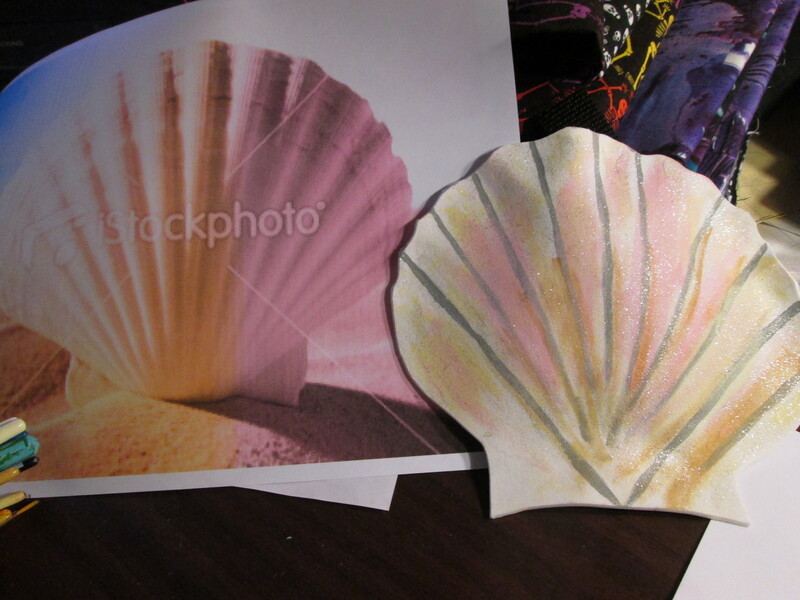 Color reference and finished shell. 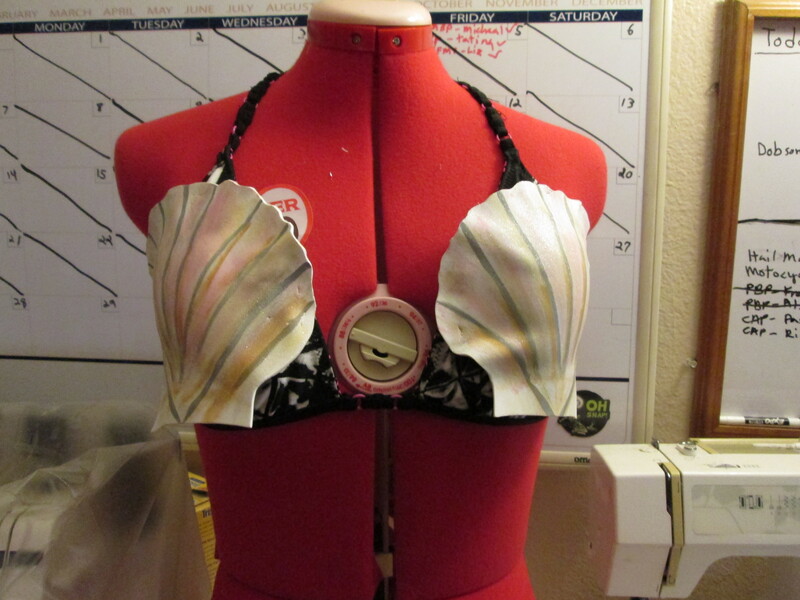 Finished bra with shells attached to top. I think I’m going to cover the bra with some of the same material from the tail so it’s doesn’t look like I covered a bikini top even though that’s what I did. This costume was made for my friend Devon for Anime Expo 2006. I used nylon/polyester fabric for the main body of the costume, trimming it in gray cotton bias binding. The cape is cotton the bottom design is appliqued on the main piece. Unfortunately I was rushing and didn’t get pictures of the process. But you can see how it looked on Devon compared to the picture of the character. The color difference in the charters outfit in the pictures was Devon’s choice of fabric. This picture of the Character is not 100% accurate but it was the closest we could find. The actual color of the character’s main outfit fabric is more like the color Devon is wearing. This costume was also made for my friend Devon for Anime Expo 2006, unfortunatly I didn’t get any pictures of her in it. It was made with cotton fabric. 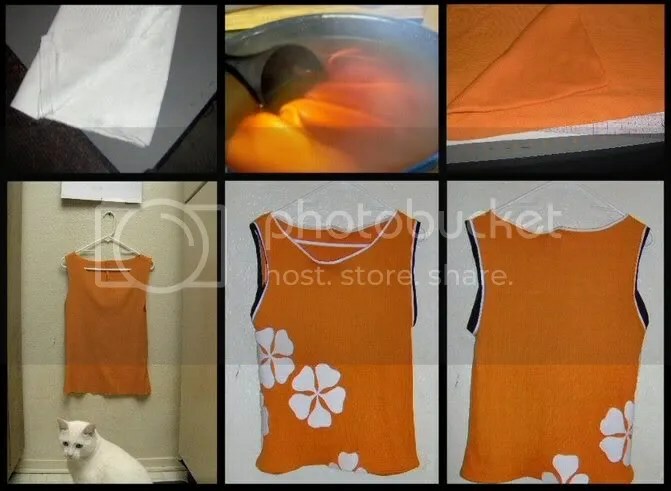 The top fabric was originally white and I dyed it orange, then I appliqued the flowers on the shirt using the same white fabric. 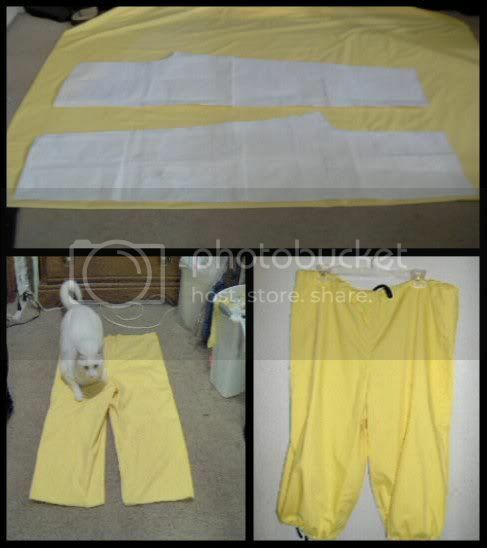 The pants are double layered yellow cotton. 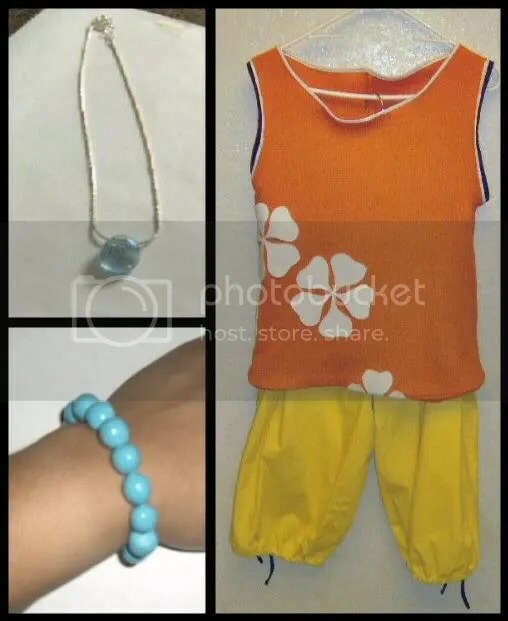 All the jewerly for this outfit was made by hand by me. The braclet is clay beads I shaped by hand and then painted. The necklet was easier, just a chain I already had and a glass bead. Here is a costume I made for my friend Colette for Halloween 2005, it’s a modest veriation of Aeon Flux. 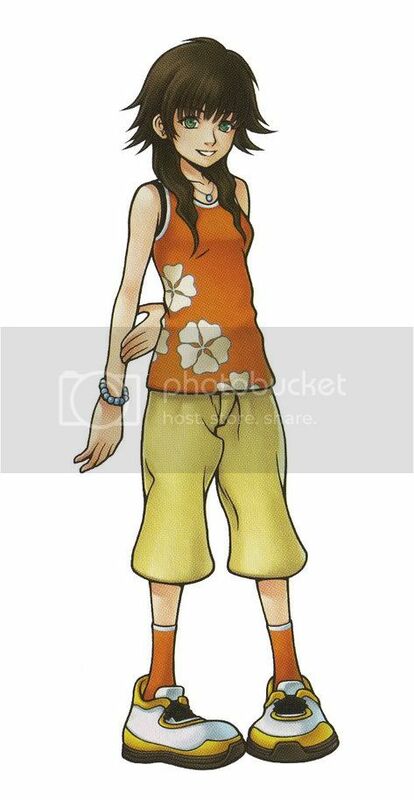 Since in the cartoon Aeon herself changes outfits more Cher there’s really no “one” Aeon Flux outfit. My friend designed this verison so that it fit her body type and her vertures. Being as most of us women don’t like to run around Hollywood in a thong. 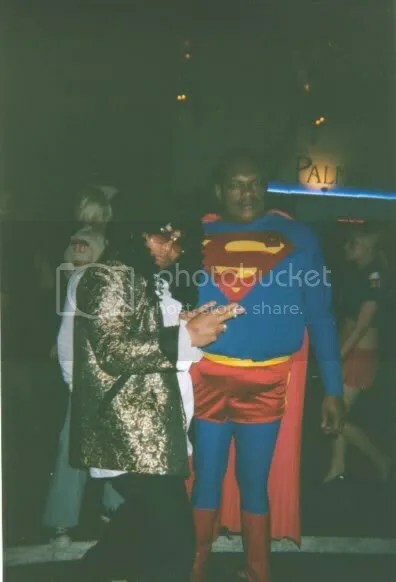 This is the Superman costume I made for my boyfriend Alex for Halloween 2005. Everything in this costume was done by me including the boot covers. I even made him a pouch (per his request) that attached to the belt to hold his wallet, keys, etc. This costume like all my other costumes was made using an altered commercial pattern.